The Practice House Selected as the 2019 Coronado Community Read. 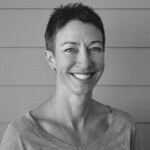 The Coronado Public Library and the Cultural Arts Commission are proud to announce the title selected for the 2019 Coronado Community Read, Laura McNeal’s The Practice House: A Novel. In The Practice House, nineteen-year-old Aldine McKenna is stuck at home with her sister and aunt in a Scottish village in 1929 when two Mormon missionaries ring the doorbell. Aldine’s sister converts and moves to America to marry, and Aldine follows, hoping to find the life she’s meant to lead and the person she’s meant to love. Laura McNeal, one of Coronado’s local authors, grew up in small towns near U.S. Air Force bases. Laura holds a Masters of Art in fiction writing from Syracuse University. She has written three novels, Dark Water, The Incident on the Bridge, and The Practice House, and an anthology of three true crime novellas called You Can’t Leave Me Now. She has also co-written several novels with her husband Tom McNeal –Crushed, Zipped, Crooked, and The Decoding of Lana Morris. 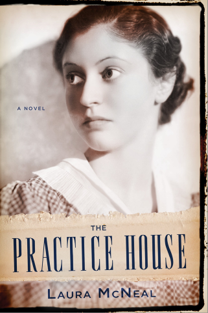 While many of her novels are aimed at young adult readers, The Practice House is her first novel for adults.